Dr. Nepom received his Bachelor’s degree in Biochemistry from Harvard. 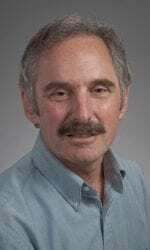 He attended the UW, receiving his Ph.D. in Biochemistry in 1977 and his M.D. in 1978. 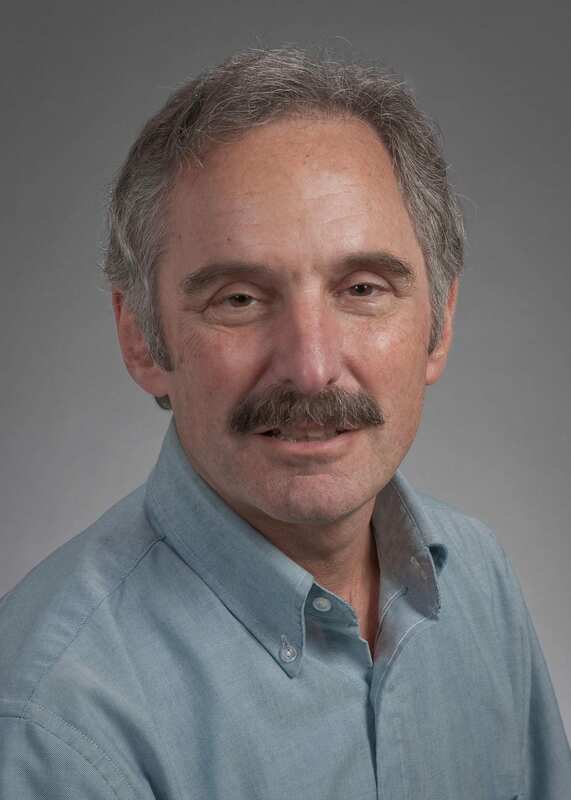 After postdoctoral work in immunogenetics in the Department of Pathology at Harvard Medical School, he returned to Seattle, joining the Fred Hutchinson Cancer Research Center and the UW School of Medicine Faculty in 1982. Since 1985 he has been a Member of the Benaroya Research Institute at Virginia Mason where he served as director until 2015. He assumed leadership of the NIAID-sponsored Immune Tolerance Network (ITN) in 2010. Dr. Nepom’s interests are focused on identifying and understanding molecular and genetic mechanisms contributing to pathogenesis of autoimmune disorders and using this information to evaluate autoreactive T cell lineage and fate determination. Translational and clinical applications include development and use of immunological monitoring tools for predicting disease susceptibility and response to therapy in clinical trials, with special emphasis on type 1 diabetes. Rigby MR, Harris KM, Pinckney A, DiMeglio LA, Rendell MS, Felner EI, Dostou, JM, Gitelman SE, Griffin KJ, Tsalikian E, Gottlieb PA, Greenbaum CJ, Sherry NA, Moore WV, Monzavi R, Willi SM, Raskin P, Keyes-Elstein L, Long SA, Kanaparthi S, Lim N, Phippard D, Soppe CL, Fitzgibbon ML, McNamara J, Nepom GT, Ehlers MR. Alefacept provides sustained clinical and immunological effects in new-onset type1 diabetes patients. J Clin Invest. 2015 Aug 3;125(8):3285-96. doi: 10.1172/JCI81722. Epub 2015 Jul 20. PubMed PMID: 26193635. Odegard JM, Nepom GT, Wambre E. Biomarkers for antigen immunotherapy in allergy and type 1 diabetes. Clin Immunol. 2015 Jun 27. pii: S1521-6616(15)00218-1. doi: 10.1016/j.clim.2015.05.023. [Epub ahead of print] Review. PubMed PMID: 26122171. Cao Y, Goods BA, Raddassi K, Nepom GT, Kwok WW, Love JC, Hafler DA. Functional inflammatory profiles distinguish myelin-reactive T cells from patients with multiple sclerosis. Sci Transl Med. 2015 May 13;7(287):287ra74. doi: 10.1126/scitranslmed.aaa8038. PubMed PMID: 25972006; PubMed Central PMCID: PMC4497538. Durinovic-Belló I, Gersuk VH, Ni C, Wu R, Thorpe J, Jospe N, Sanda S, Greenbaum CJ, Nepom GT. Avidity-dependent programming of autoreactive T cells in T1D. PLoS One. 2014 May 20;9(5):e98074. doi: 10.1371/journal.pone.0098074. eCollection 2014. PubMed PMID: 24844227; PubMed Central PMCID: PMC4028311. Smilek DE, Ehlers MR, Nepom GT. Restoring the balance: immunotherapeutic combinations for autoimmune disease. Dis Model Mech. 2014 May;7(5):503-13. doi: 10.1242/dmm.015099. Review. PubMed PMID: 24795433; PubMed Central PMCID: PMC4007402. Rigby MR, DiMeglio LA, Rendell MS, Felner EI, Dostou JM, Gitelman SE, Patel CM, Griffin KJ, Tsalikian E, Gottlieb PA, Greenbaum CJ, Sherry NA, Moore WV, Monzavi R, Willi SM, Raskin P, Moran A, Russell WE, Pinckney A, Keyes-Elstein L, Howell M, Aggarwal S, Lim N, Phippard D, Nepom GT, McNamara J, Ehlers MR; T1DAL Study Team. Targeting of memory T cells with alefacept in new-onset type 1 diabetes (T1DAL study): 12 month results of a randomised, double-blind, placebo-controlled phase 2 trial. Lancet Diabetes Endocrinol. 2013 Dec;1(4):284-94. doi: 10.1016/S2213-8587(13)70111-6. Epub 2013 Sep 23. PubMed PMID: 24622414; PubMed Central PMCID: PMC3957186. Mason MJ, Speake C, Gersuk VH, Nguyen QA, O’Brien KK, Odegard JM, Buckner JH, Greenbaum CJ, Chaussabel D, Nepom GT. Low HERV-K(C4) copy number is associated with type 1 diabetes. Diabetes. 2014 May;63(5):1789-95. doi: 10.2337/db13-1382. Epub 2014 Jan 15. PubMed PMID: 24430436. Dahan R, Gebe JA, Preisinger A, James EA, Tendler M, Nepom GT, Reiter Y. Antigen-specific immunomodulation for type 1 diabetes by novel recombinant antibodies directed against diabetes-associates auto-reactive T cell epitope. J Autoimmun. 2013 Dec;47:83-93. doi: 10.1016/j.jaut.2013.08.009. Epub 2013 Oct 3.PubMed PMID: 24090977. Bollyky PL, Vernon RB, Falk BA, Preisinger A, Gooden MD, Nepom GT, Gebe JA. ‘IL-10 induction from implants delivering pancreatic islets and hyaluronan.’ J Diabetes Res. 2013;2013:342479. doi: 10.1155/2013/342479. Epub 2013 Jul 22. PubMed PMID: 23971054; PubMed Central PMCID: PMC3736405. Obermoser G, Presnell S, Domico K, Xu H, Wang Y, Anguiano E, Thompson-Snipes L, Ranganathan R, Zeitner B, Bjork A, Anderson D, Speake C, Ruchaud E, Skinner J, Alsina L, Sharma M, Dutartre H, Cepika A, Israelsson E, Nguyen P, Nguyen QA, Harrod AC, Zurawski SM, Pascual V, Ueno H, Nepom GT, Quinn C, Blankenship D, Palucka K, Banchereau J, Chaussabel D. ‘Systems scale interactive exploration reveals quantitative and qualitative differences in response to influenza and pneumococcal vaccines’. Immunity. 2013 Apr 18;38(4):831-44. doi: 10.1016/j.immuni.2012.12.008. PubMed PMID: 23601689; PubMed Central PMCID: PMC3681204. Nepom GT, Ehlers M, Mandrup-Poulsen T. ‘Anti-cytokine therapies in T1D: Concepts and strategies’. Clin Immunol. 2013 Feb 14. doi:pii: S1521-6616(13)00029-6. 10.1016/j.clim.2013.02.003. [Epub ahead of print] ubMed PMID: 23510726; PubMed Central PMCID: PMC3700624. Sarikonda G, Sachithanantham S, Manenkova Y, Kupfer T, Posgai A, Wasserfall C, Bernstein P, Straub L, Pagni PP, Schneider D, Calvo TR, Coulombe M, Herold K, Gill RG, Atkinson M, Nepom G, Ehlers M, Staeva T, Garren H, Steinman L, Chan AC, von Herrath M. Transient B-cell depletion with anti-CD20 in combination with proinsulin DNA vaccine or oral insulin: immunologic effects and efficacy in NOD mice. PLoS One. 2013;8(2):e54712. doi: 10.1371/journal.pone.0054712. Epub 2013 Feb 6. PubMed PMID: 23405091; PubMed Central PMCID: PMC3566105. Vernon RB, Preisinger A, Gooden MD, D’Amico LA, Yue BB, Bollyky PL, Kuhr CS, Hefty TR, Nepom GT, Gebe JA. ‘Reversal of diabetes in mice with a bioengineered islet implant incorporating a type I collagen hydrogel and sustained release of vascular endothelial growth factor’. Cell Transplant. 2012;21(10):2099-110. doi: 10.3727/096368912X636786. PubMed PMID: 23231959. Nepom GT, Buckner JH. A functional framework for interpretation of genetic associations in T1D. Curr Opin Immunol. 2012 Oct;24(5):516-21. doi: 10.1016/j.coi.2012.07.003. Epub 2012 Jul 26. Review. PubMed PMID: 22841349. Matthis J, Nepom GT. T cell autoreactivity in the transplant milieu. Am J Transplant. 2012 Jul;12(7):1674-81. doi: 10.1111/j.1600-6143.2012.04109.x. Epub 2012 May 29. PubMed PMID: 22642536. Nepom GT. MHC class II tetramers. J Immunol. 2012 Mar 15;188(6):2477-82. doi: 10.4049/jimmunol.1102398. Review. PubMed PMID: 22389204; PubMed Central PMCID: PMC3297979. Schubert DA, Gordo S, Sabatino JJ Jr, Vardhana S, Gagnon E, Sethi DK, Seth NP, Choudhuri K, Reijonen H, Nepom GT, Evavold BD, Dustin ML, Wucherpfennig KW. ‘Self-reactive human CD4 T cell clones form unusual immunological synapses’. J Exp Med. 2012 Feb 13;209(2):335-52. doi: 10.1084/jem.20111485. Epub 2012 Feb 6. PubMed PMID: 22312112; PubMed Central PMCID: PMC3280872.